On May 26th, my family and I headed out on the adventure of a lifetime. We sold our house, packed up our few belongings into an RV and hit the road full-time for one year (ish). Since then, we have been to some incredible places, starting in Colorado and heading straight up into Canada. We then made our way down the east coast through Washing, Oregon, and California. While there are a lot of places we’ve traveled that have made a lasting impression, there’s one place I wasn’t ready to leave: San Diego. But let me tell you, San Diego is not a city you just pass through. Nope. It’s a city you plan to stay in for a few days (or a week or two) and soak in everything it has to offer. Because it has to offer a lot. Here are six San Diego activities to add to your must-do list while you’re there. 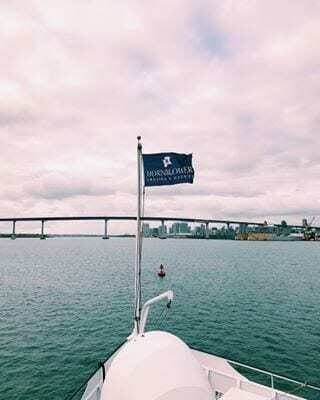 We started off our time in San Diego with a harbor tour with Hornblower Cruises. 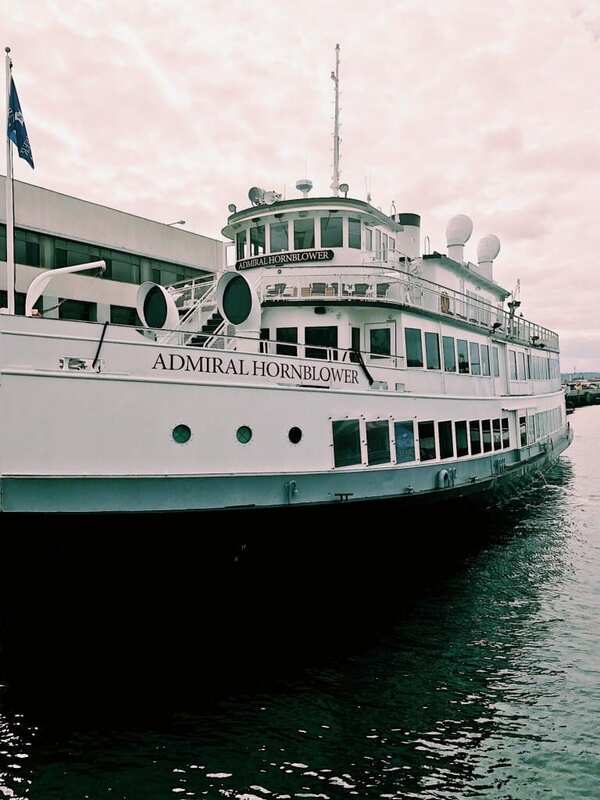 Hornblower Cruises offers dining cruises, one and two-hour cruises, whale watching cruises and more. 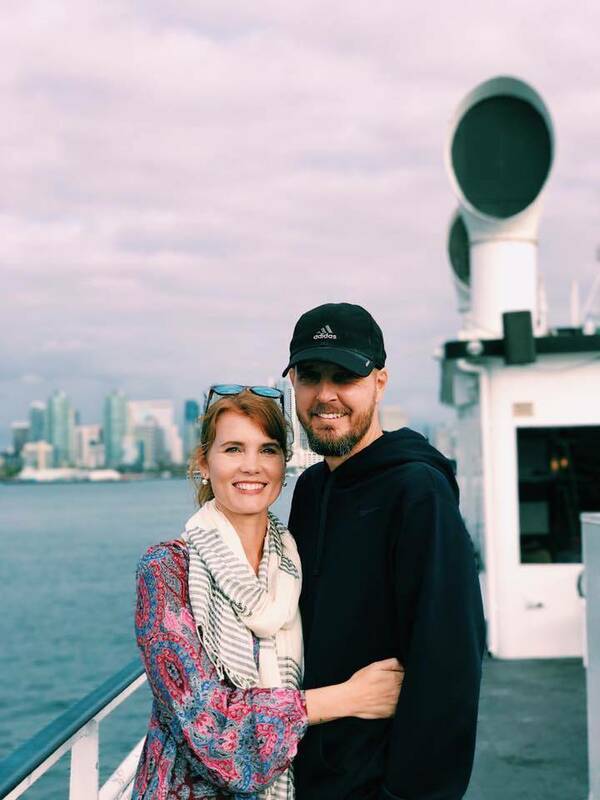 We chose the two-hour harbor cruise tour, which got us up close and personal with the USS Midway, Coronado Bay Bridge, sea lions, the Maritime Museum, and so many more landmarks that I lost count. You can choose to sit outside or inside and they offer refreshments for purchase. This was a fun and relaxing way to see the harbor and a fantastic introduction to San Diego. 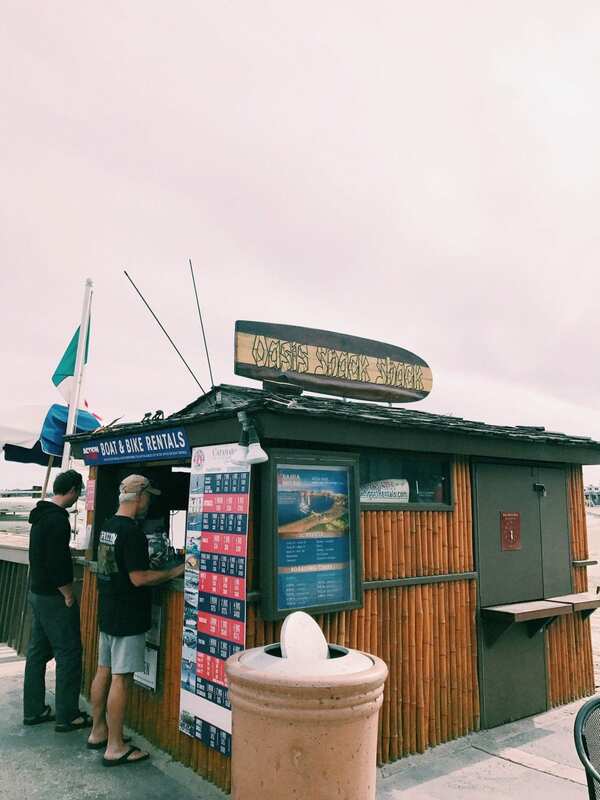 After we finished our cruise, we popped over to Carnitas Snack Shack located at the Embarcadero for dinner, which is just a few steps away from where you board and leave the Hornblower. I ordered a Snack Shack burger and seasoned fries. The burger comes with lettuce, tomato, bacon jam, white cheddar and shack aioli and the fries come with bacon ketchup. Needless to say, it was oh so good. It was unseasonably cool the evening we were there, so since there’s no indoor seating, our waitress brought all of us blankets. Isn’t that nice?! This is a definite must-visit museum! 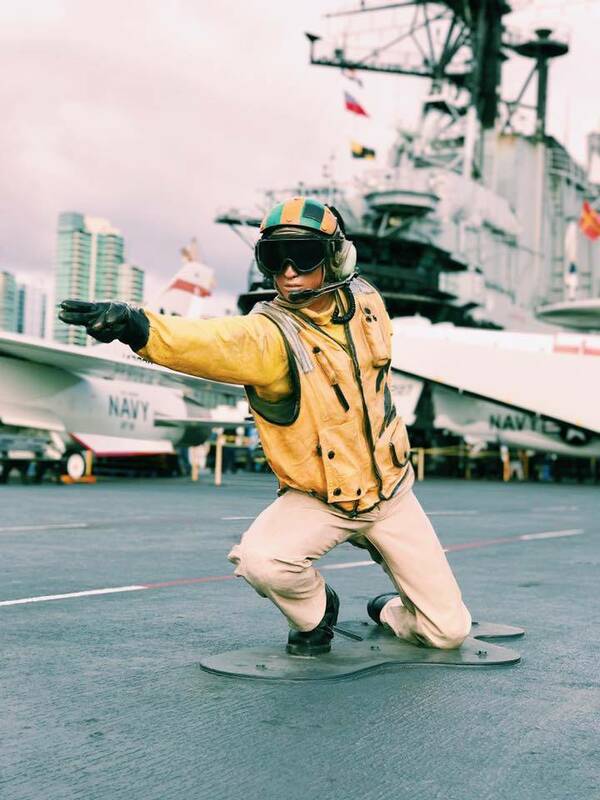 The USS Midway was an aircraft carrier of the United States Navy, the lead ship of her class. She was commissioned at the end of World War II and operated for 47 years. 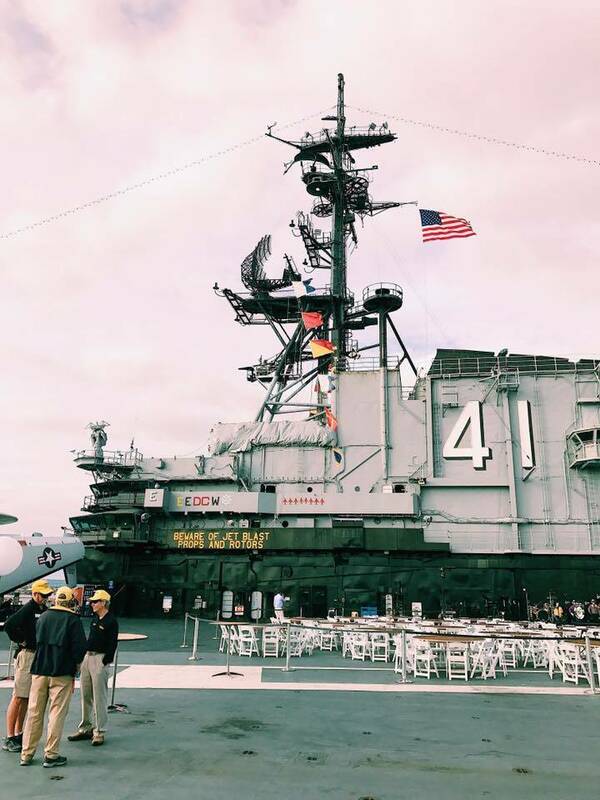 She was decommissioned in 1992 and now sits in the San Diego harbor just waiting for you to tour her and attempt to grasp everything she’s seen and done. 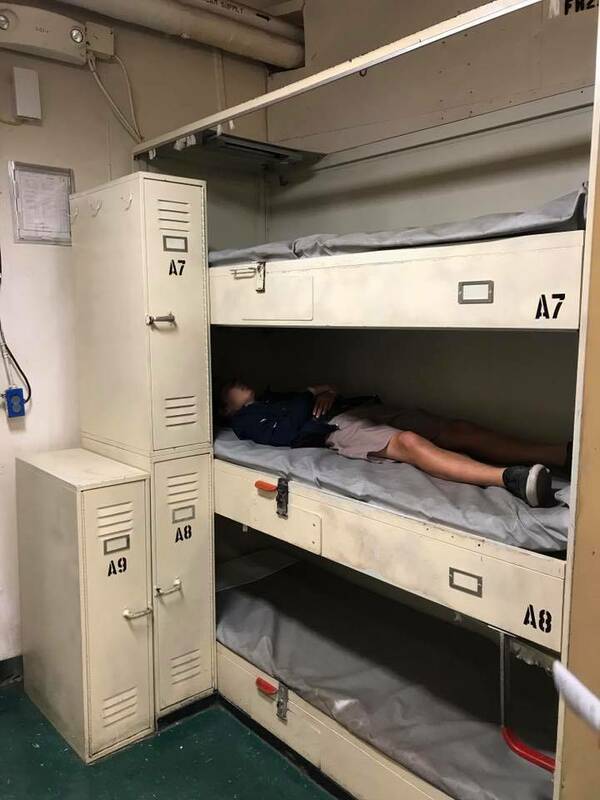 We spent 3 hours touring the ship and we still could have stayed longer. 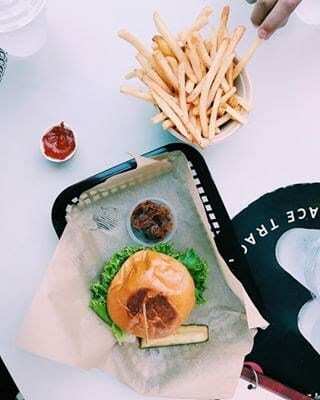 Your ticket is good for the entire day, so a bite for lunch in between your tour might be a good idea if you have young kids. Just be sure to stop by the Visitor’s Information Center on your way out. Our boys were pretty mesmerized by the enormity of it and how it basically operated like a small city. Since we’re homeschooling our 13-year-old on the road (aka roadschooling) this was one fantastic history lesson for the day. If you have the time to stand in line to go on a tour all the way up to the Captain’s Chair, I highly recommend it. It’s a tight squeeze and there are numerous places to hit your head (if you’re tall) so be aware of that. But for us and our kids, it was the perfect end to our tour. 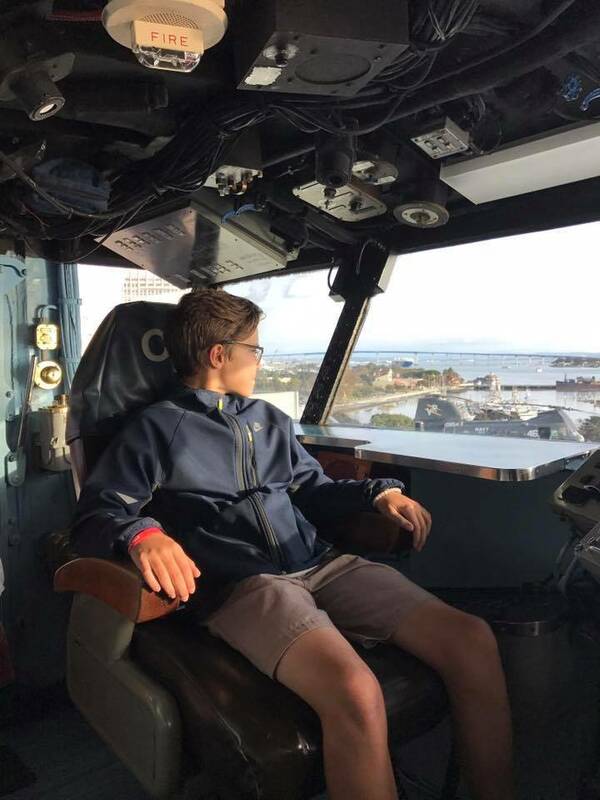 Our youngest son sat in the Captain’s chair while the tour guide shared what it might be like to be the Captain of a vessel like this. You can plan your trip, check out the calendar of events and even purchase your tickets online here. Next on our list of how-to-have-the-best-trip-to-San-Diego-ever, was paddle boarding on Mission Bay. 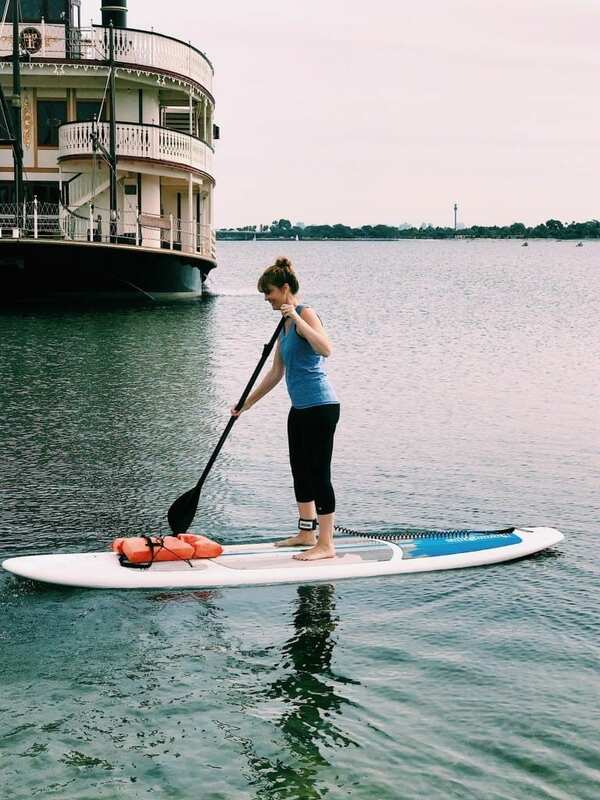 We rented our paddle boards with Action Sports Rentals which is located right on the bay. Just walk through the Catamaran Resort Hotel’s lobby and head to the beach. You’ll see bikes and surreys right outside their small building. 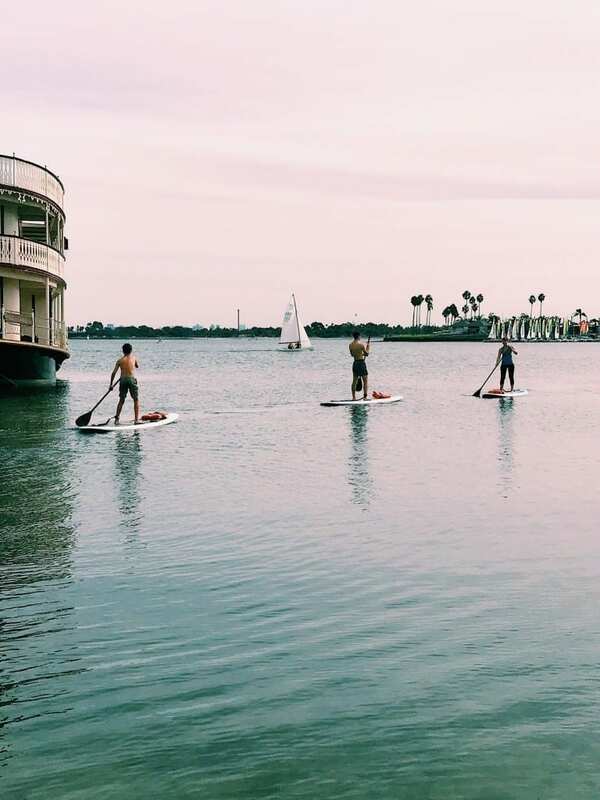 You can rent everything from sailboats and powerboats, to bikes and of course…paddle boards. It is a workout, so be prepared to be slightly sore the next day. The guy who got us all set up with our boards was so nice and friendly. He made sure we were 100% comfortable before we went out on the water and also let us store our phones and wallets inside where he was working. Be sure to stop by their place and rent something, either for land or sea, for a fun adventure with your family! This, my friends, was fun. It was so fun that I took zero pictures! Well, except for this one of the shop from our car. 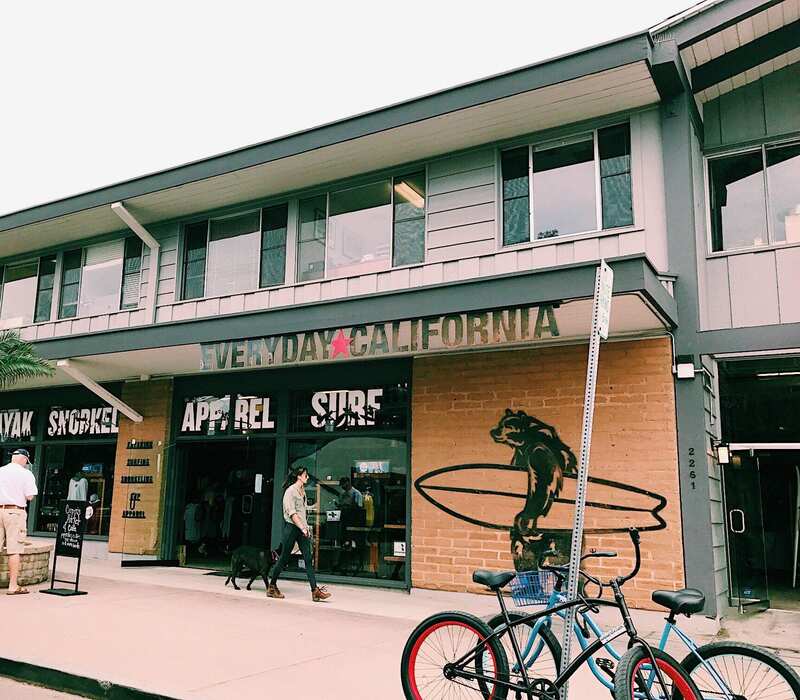 I took zero pictures because you leave your phones and belongings at the Everyday California shop (it does cost to rent a locker) and then walk down to the beach in your wetsuit. It didn’t occur to me about not being able to bring my phone for pictures until the morning we were leaving. Unfortunately, our GoPro (with a handy dandy waterproof case) wasn’t charged. Argh! Anyway, you’ll have to take my word for it on how beautiful it was and all the amazing things we saw on our tour. Or, check out their Instagram for some cool shots. To give you an idea of how it all works, you check-in at the desk 30 minutes before your scheduled time. They’ll ask if you want a locker and also a wetsuit. (Both are extra on top of your ticket price.) I opted for just the wetsuit top, which was perfect for me. You get dressed and ready to go in their shop and then a guide will walk the group down to the beach, which is just a couple of blocks down the road. The kayaks and paddles are there waiting for you. The guides give you an intro on how to paddle out, as well as some guidelines and rules. And then you’re off! Our guides were so much fun. It always helps make the experience, no matter what you’re doing, a lot more fun when your guides have some personality. They shared about some of the crazy big houses on the cliffs above the beach, told us about the caves and educated us on the sea life. They guide you by twos into the sea caves where you can really see everything and experience it first-hand. I couldn’t get over how clear the water was in the caves. It was just stunning. As we were sitting there waiting for everyone to take their turn in the caves, there were several sea lions just lounging around on the rocks, minding their own business. There were also birds diving into the water for fish right by us. If you’re lucky, you’ll see leopard sharks too. We didn’t that day, but I was so pleased with the whole experience. You’ll be on the water a total of one hour, but expect the whole process from check-in to check out to be two hours. Book your tickets here. They are open year round, weather permitting. Ahhhh, San Diego weather. It’s truly amazing. I had heard from friends how incredible the San Diego Zoo was and let me tell you, it did not disappoint. This zoo is amazing! The first thing we did was hop on the tram so we could get an overhead shot of everything the zoo had to offer. We all started freaking out a little when we saw the gorillas. Those animals amaze us and I could watch them all day. There is definitely plenty to keep you busy there for an entire day. The zoo is broken up into different zones such as the Australian Outback, Africa Rocks, Northern Frontier…just to name a few. 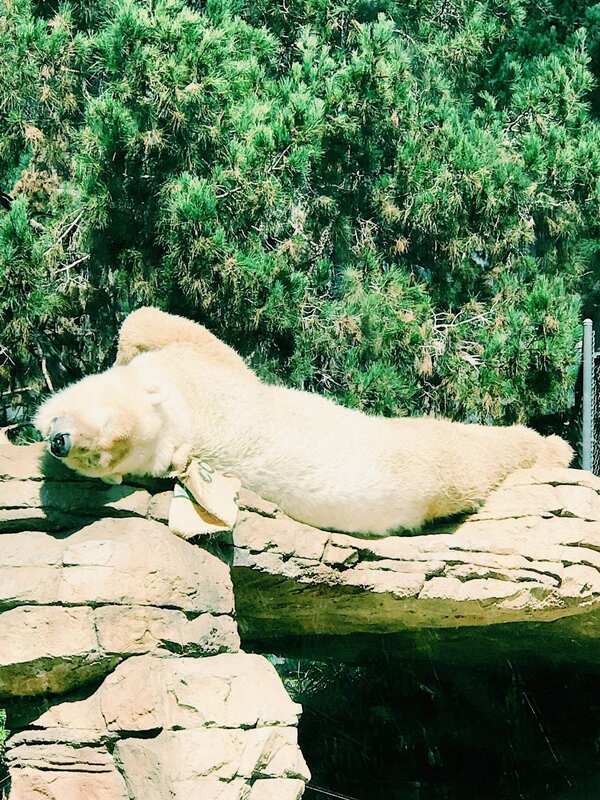 You’ll see everything from elephants and flamingos, to polar bears and pandas. You can see the entire list of animals at this zoo here. We were entertained for quite awhile by the Orangutans. They have such hilarious personalities to begin with and then when they start climbing and swinging from their play structures, it’s pretty mesmerizing. One little ape was messing with who we assume was his dad and his dad was having none of it. Relatable right? You can check out the Orangutans for yourself on their ape cam. 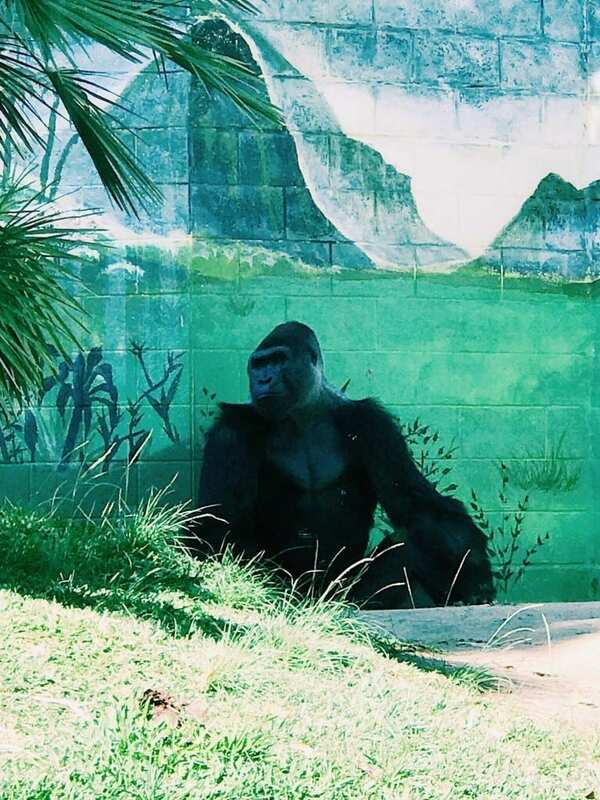 The gorillas were out favorite to watch, both at the San Diego Zoo and the Safari Park. Speaking of the Safari Park…. A friend of ours took us to the Safari Park, which she knows like the back of her hand. It was so fun to have our very own tour guide, who knew exactly which route to take for us to be able to soak it all in. The Safari Park is so well done. The animals have plenty of room to roam and their environment looks just as close to what their reality would be in the wild, as it gets. This was a completely different animal experience than we’ve ever had before. It’s said that the Safari Park hears the comment ‘this feels like a real safari’ over and over again, and while I’ve never personally been on one, I can guess this is a very close second to the real thing. 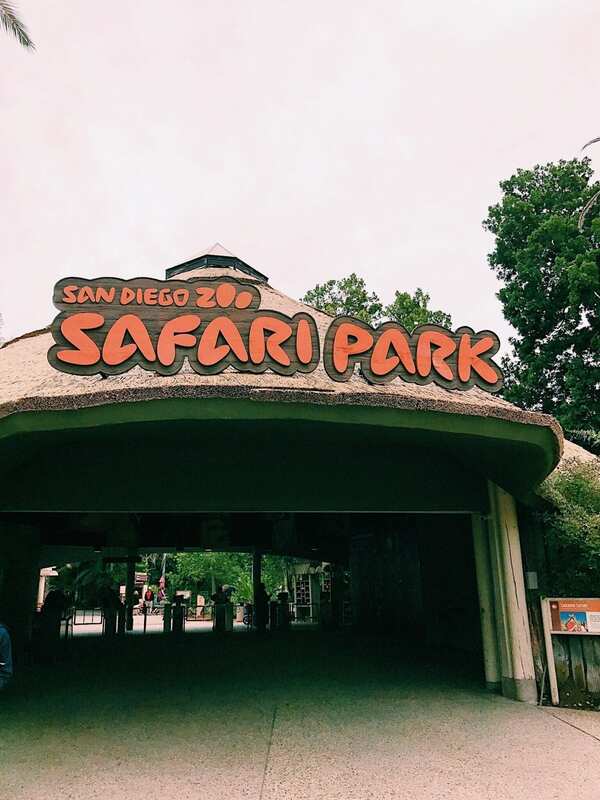 If you’re looking for a unique experience that is hard to find in other cities, I would highly recommend putting the safari park on the top of your list of things to do. Here are some incredible shots my son took of the gorillas. Click the arrow to see them all. gorillas are truly the most remarkable animals. when looking into their eyes, i see undeniable intelligence and emotion. these portraits feel just as powerful as any human portraits i have taken! Our friend who gave us the tour will often head to the park for their Cheetah Run. Talk about an incredible experience getting to watch a cheetah run at top speed. There are tons of other activities available at the park, but just know they are extra on top of your ticket. Things like the balloon safari, caravan safari, and flightline safari. We did none of these extra things and the trip was still well worth it. In fact, I’d go back again and again if I lived in the area. You can find out more and plan your day there on the Safari Park website. So there you have it! As you can see we had a full and very fun itinerary while in San Diego. A special thank you to the Visit San Diego for helping us plan our stay and for setting up some incredible adventures while we were there. Am bookmarking. My daughter lives in San Diego and I will be visiting her in a couple of months. Love the pics! Wow it sounds like you had a fantastic time in San Diego! Congrats on only falling into the water once on your first SUP outing! And the sea caves kayak tour sounds amazing! 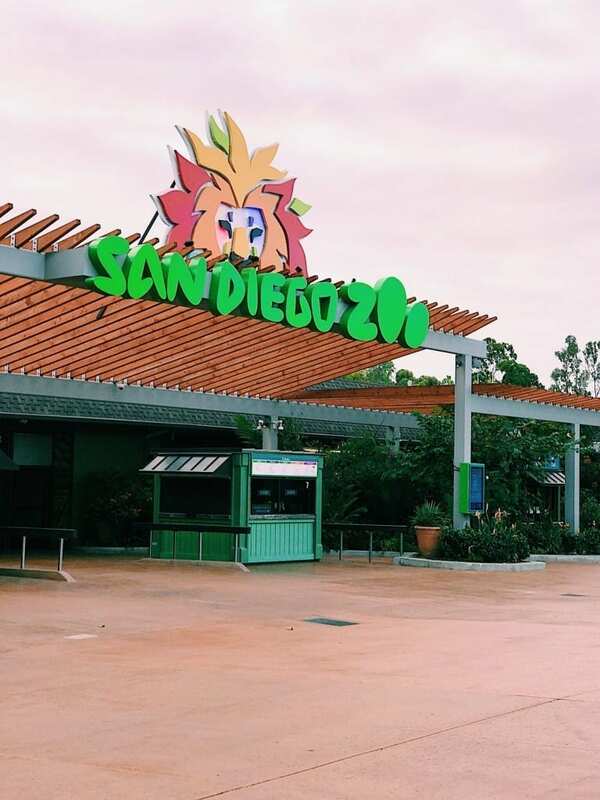 The San Diego zoo is quite impressive with its size, habitats, and conservation efforts, I’m glad the whole family enjoyed it! Thanks Liz! It’s definitely one of my most favorite cities now. I can’t wait to go back! OMG, I live in San Diego and I have yet to visit any of these places! They are all on my list but have never made it yet. One other thing I recommend is Coronado island and the Hotel Del Coronado. So pretty! Hey Deborah! We had such a blast in this city. We were bummed we didn’t get to visit Coronado Island, but we saw it from the boat. 🙂 I can’t wait to go back to do all of the other fun things San Diego has to offer. Such a fantastic city.